Robert Drews (born March 26, 1936) is an American historian who is Professor of Classical Studies Emeritus at Vanderbilt University. He received his B. A. from Northwestern College, his M. A. from University of Missouri and his Ph.D. from Johns Hopkins University. Drews specializes in ancient history and prehistory, in particular the evolution of warfare and of religion. In Search of the Shroud of Turin: New Light on its History and Origins. Totowa, N. J.: Rowman and Allanheld, 1984. The Coming Of The Greeks: Indo-European Conquests in the Aegean and The Near East. Princeton: Princeton University Press, 1988. The End of The Bronze Age: Changes in Warfare and the Catastrophe ca. 1200 B.C. Princeton: Princeton University Press, 1993. (editor) Greater Anatolia and the Indo-Hittite Language Family. Papers presented at a colloquium hosted by the University of Richmond, March 18–19, 2000. Washington, D.C.: Institute for the Study of Man, 2001. Early Riders: The Beginnings of Mounted Warfare in Asia and Europe. London: Routledge, 2004. Militarism and the Indo-Europeanizing of Europe. London: Routledge, 2017. Greek is an independent branch of the Indo-European family of languages, native to Greece, Cyprus and other parts of the Eastern Mediterranean and the Black Sea. It has the longest documented history of any living Indo-European language, spanning more than 3000 years of written records. Its writing system has been the Greek alphabet for the major part of its history; other systems, such as Linear B and the Cypriot syllabary, were used previously. The alphabet arose from the Phoenician script and was in turn the basis of the Latin, Cyrillic, Armenian, Coptic, Gothic, and many other writing systems. Andrew Colin Renfrew, Baron Renfrew of Kaimsthorn, FBA, FSA, Hon FSA Scot is a British archaeologist, paleolinguist and Conservative peer noted for his work on radiocarbon dating, the prehistory of languages, archaeogenetics, and the prevention of looting at archaeological sites. He developed the Anatolian hypothesis, which argues that Proto-Indo-European, the reconstructed ancestor of the Indo-European languages, originated approximately 9,000 years ago in Anatolia and moved with the spread of farming throughout the Mediterranean and into Central and Northern Europe. This hypothesis contradicted Marija Gimbutas's Kurgan hypothesis, which states that Proto-Indo-European was spread by a migration of peoples from the Pontic-Caspian steppe approximately 6,000 years ago. Marija Gimbutas was a Lithuanian-American archaeologist and anthropologist known for her research into the Neolithic and Bronze Age cultures of "Old Europe" and for her Kurgan hypothesis, which located the Proto-Indo-European homeland in the Pontic Steppe. The Hyksos were a people of diverse origins, possibly from Western Asia, who settled in the eastern Nile Delta some time before 1650 BC. The arrival of the Hyksos led to the end of the Thirteenth Dynasty and initiated the Second Intermediate Period of Egypt. In the context of Ancient Egypt, the term "Asiatic" may refer to people native to areas east of Egypt. Saka, Śaka, Shaka or Saca (Persian: old Sakā, mod. ساکا; Sanskrit: Śaka; Ancient Greek: Σάκαι, Sákai; Latin: Sacae; Chinese: 塞, old *Sək, mod. Sāi) were a group of nomadic Iranian peoples who historically inhabited the northern and eastern Eurasian Steppe and the Tarim Basin. 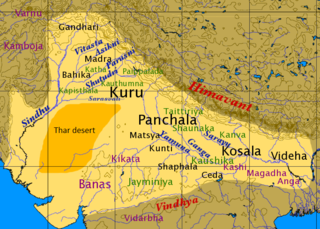 The historical Vedic religion refers to the religious ideas and practices among Indo-Aryan-speaking peoples of ancient India after about 1500 BCE. These ideas and practices are found in the Vedic texts, and they were one of the major influences that shaped contemporary Hinduism. According to the Encyclopædia Britannica, in the Hindu tradition and particularly in India, the Vedic religion is considered to be a part of Hinduism. The Triple Goddess is a deity or deity archetype revered in many Neopagan religious and spiritual traditions. In common Neopagan usage, the Triple Goddess is viewed as a triunity of three distinct aspects or figures united in one being. These three figures are often described as the Maiden, the Mother, and the Crone, each of which symbolizes both a separate stage in the female life cycle and a phase of the Moon, and often rules one of the realms of heavens, earth, and underworld. Her masculine consort is usually believed to be the Horned God. Gondophares I was the founder of the Indo-Parthian Kingdom and its most prominent king, ruling from 19 to 46. A member of the House of Suren, he belonged to a line of local princes who had governed the Parthian province of Drangiana since its disruption by the Indo-Scythians in c. 129 BC. 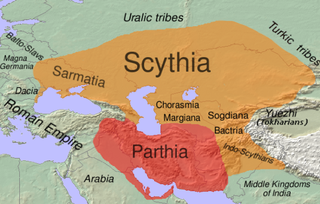 During his reign, his kingdom became independent from Parthian authority and was transformed into an empire, which encompassed Drangiana, Arachosia, and Gandhara. He is generally known from the dubious Acts of Thomas, the Takht-i-Bahi inscription, and coin-mints in silver and copper. Within a period of forty to fifty years at the end of the thirteenth and the beginning of the twelfth century almost every significant city in the eastern Mediterranean world was destroyed, many of them never to be occupied again. Anthony Stevens is a Jungian analyst, psychiatrist and prolific writer of books and articles on psychotherapy, evolutionary psychiatry and the scientific implications of Jung’s theory of archetypes. He is a graduate of Oxford University and in addition to a DM has two degrees in psychology. He is a member of the Royal College of Psychiatrists and a senior member of the Independent Group of Analytical Psychologists. Awadh Kishore Narain was an Indian historian, numismatist and archaeologist, who has published and lectured extensively on the subjects related to South and Central Asia. He was well known for his book, The Indo Greeks, published by Oxford University Press in 1956, in which he discussed the thesis of British historian Sir William Woodthorpe Tarn.